Total cost of ownership (TCO) includes not only the projector’s purchase price but also all the expenses incurred during its lifetime of operation. 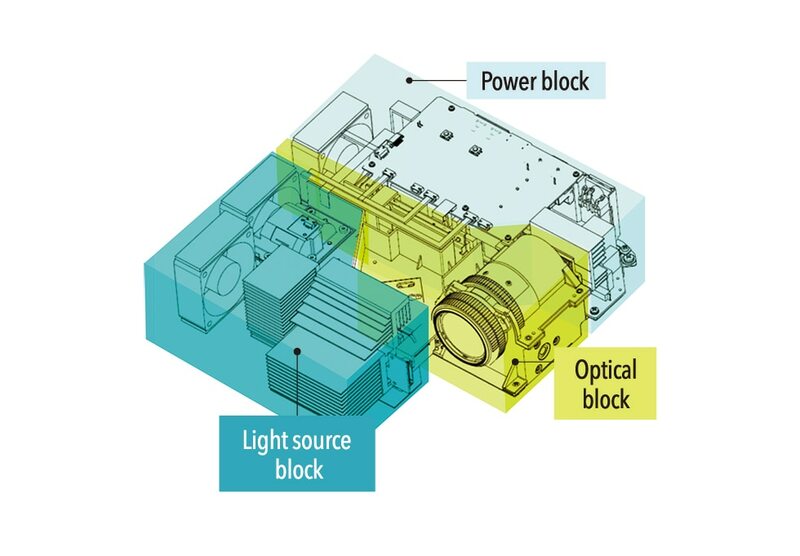 CASIO’s original SSI* light source with its extremely long lifetime of 20,000 hours and low power consumption realizes exceptional cost performance compared with conventional mercury lamp projectors through savings on expenditures for lamp replacement and the associated labor and lost operating time as well as for electric power. 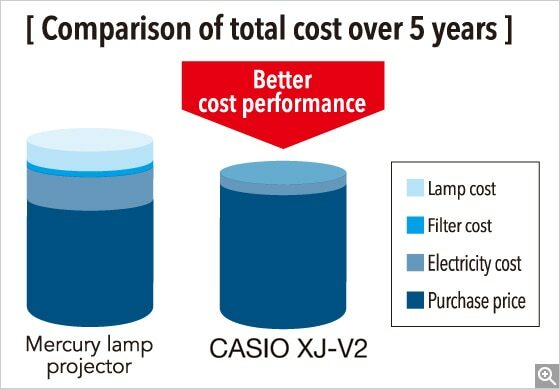 The XJ-V2 saves on lamp andfilter replacement costs and power consumption. 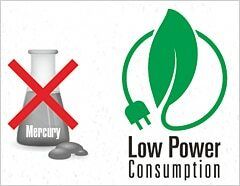 It also has an incredibly affordable purchase price close to that of mercury lamp projectors. The XJ-V2 provides the best TCO performance in the industry. 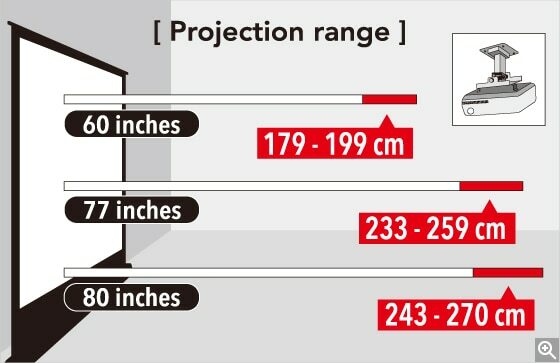 For 80-inch projection, the XJ-V2 can project from a distance of 243 cm to 270 cm. 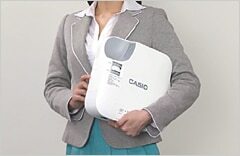 It is easy to install on the ceiling*, which saves money at the time of projector replacement.